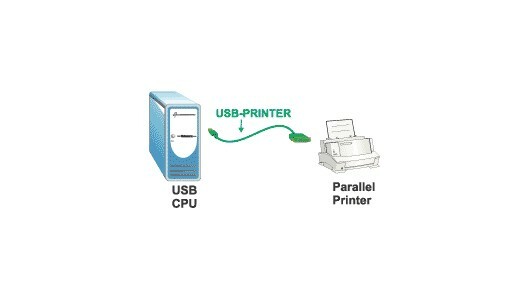 The USB-PRINTER adapter allows your PC or Mac to print with a parallel printer device connected through the USB port. Just plug the USB connector of the cable to the USB port of your computer, and the other end into the Centronics connector of the standard parallel printer. 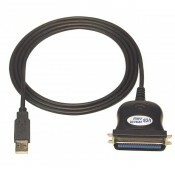 Male USB Type A to male Centronics 36 cable. 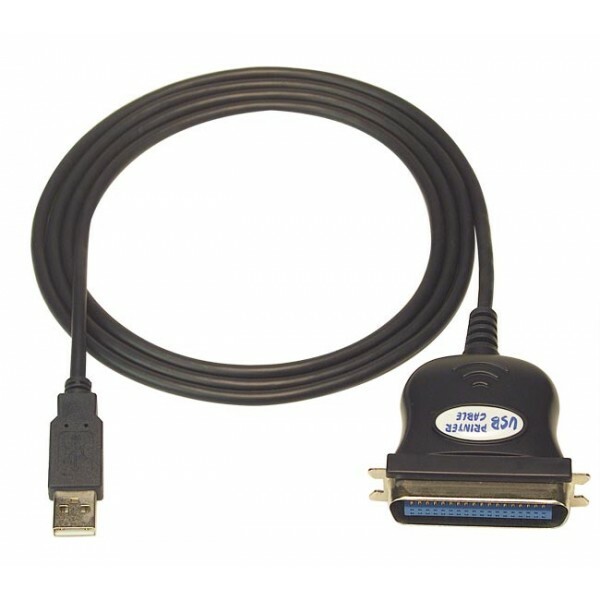 Compliant with USB Printer Class 1.0 specification. IBM PC 486DX4-100 MHz CPU or higher or compatible. Power G3 or G4 CPU or higher compatible.